Well I didn't know we had super little spellers I guess you guys have been working so hard to be super spellers I hope you are still practicing you spelling you guys might even be better than me. 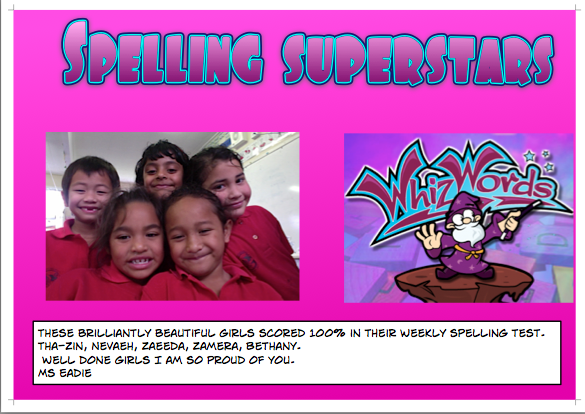 Talofa Yr 2 Girls. I can't imagine use girls using 100% in your writting you are brilliant. I wish I was like you girls. Hello Yr 2 Girls. Your writing was amazing and wonderful. Well done.